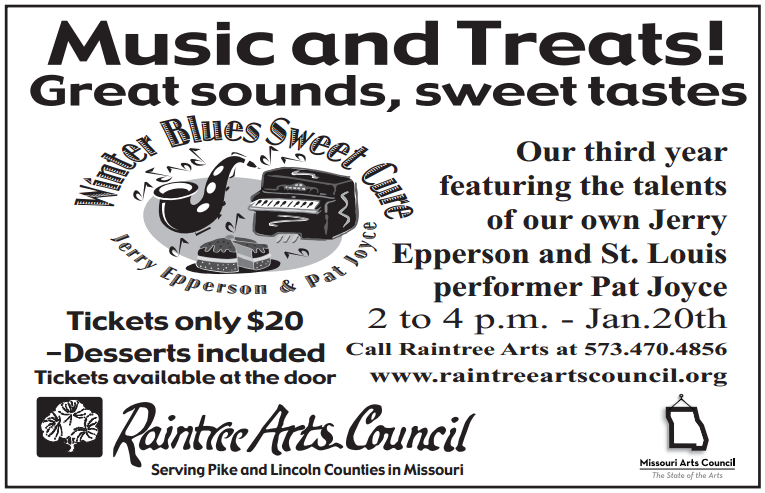 The Raintree Arts Council presented an afternoon of Mystery Theater at the Clarksville Apple Shed on Sunday March 10 2-4 PM, where 40+ members of the community enjoyed a few hours of food, drink, and entertainment. 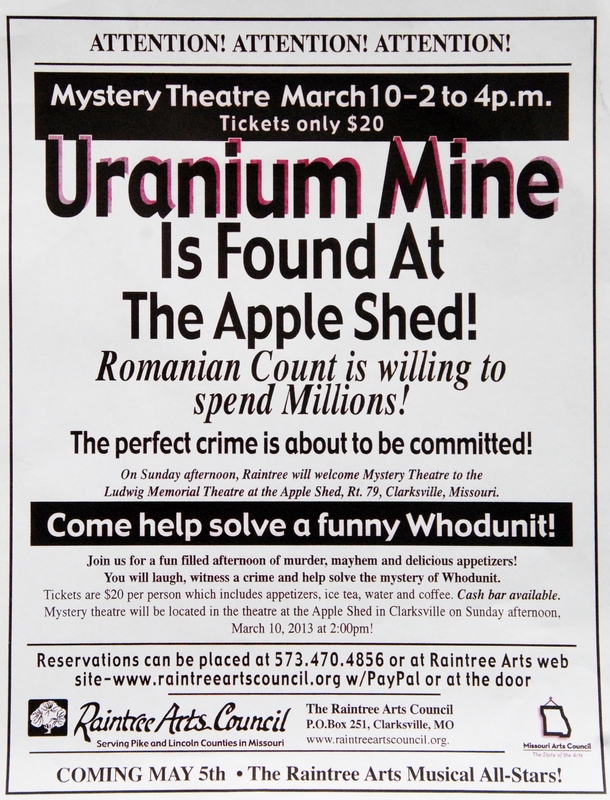 Written and directed by the cast members, a wealthy count from a foreign land comes to Clarksville to invest in a uranium mine. But as soon as he arrives he’s pulled in all directions because of his looks, his charm, his plans and his money. Over the next hour, murder and mystery unfold and the audience is asked to help solve the crime. The combination of food, drink, and participation theater turned a rainy Sunday into a fun day in Clarksville.